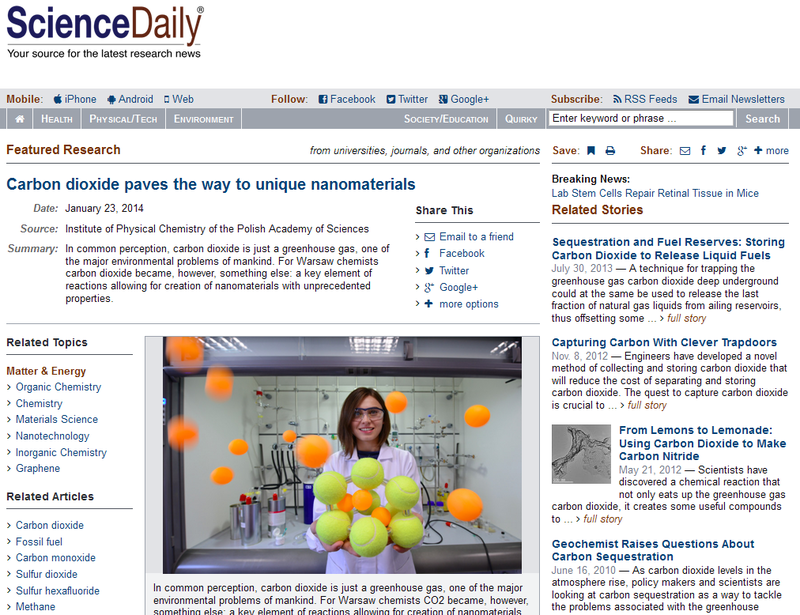 Part of our carbon dioxide-based research has been featured in Science Daily! The article includes fragments of an interview with our Ph.D. Student Kamil Sokołowski and an imaginary picture of our another doctoral candidate Kasia Sołtys. These results were also appreciated by Polish media. 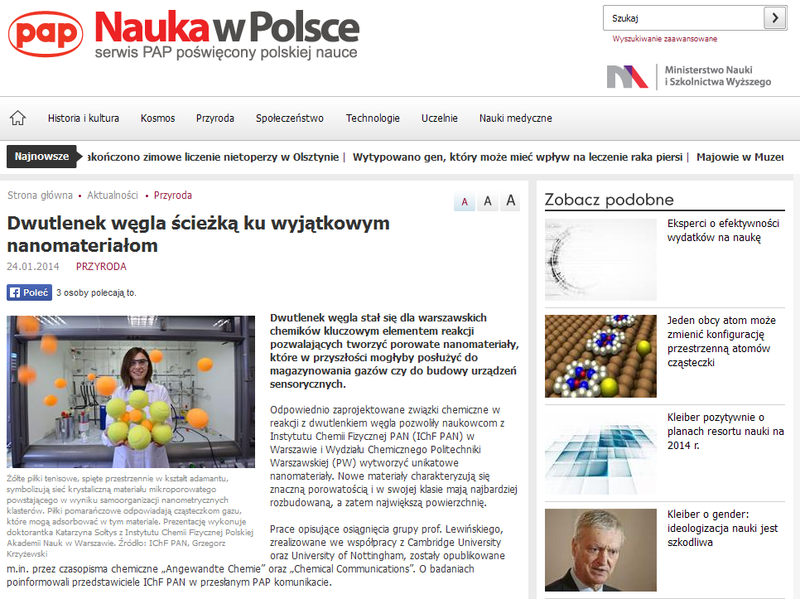 Polish Press Agency has published a note entitled “Dwutlenek węgla ścieżką ku wyjątkowym nanomateriałom” (“Carbon dioxide – a pathway to unique nanomaterials”). 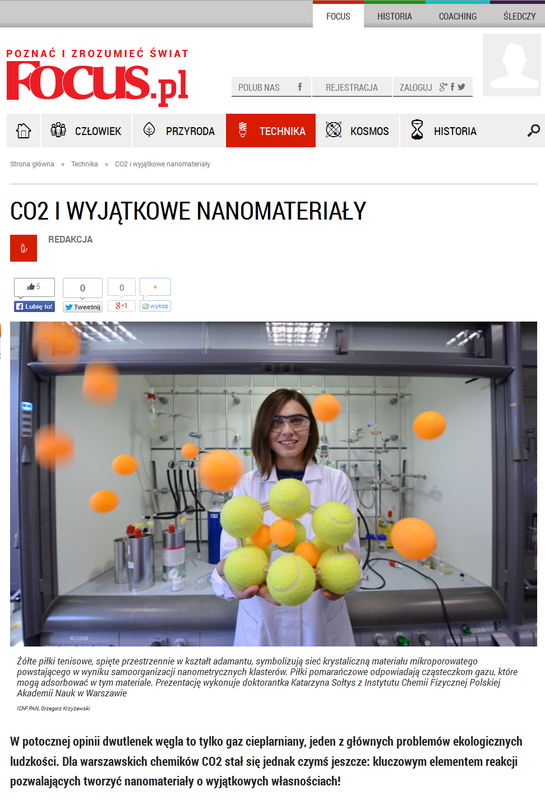 “CO2 i wyjątkowe nanomateriały” (“CO2 and unique nanomaterials”) – under this title our work concerning carbon dioxide-based syntheses of functional materials has been published in Focus, which is Poland’s most read popular science monthly magazine.